Well-known trademark recognition is a tool that offers a much broader scope of protection to trademark owners than those offered by normal registered trademarks. Having the well-known trademark status means that the mark has acquired high reputation and influence among the public through extensive and continuous use and has been recognised by the relevant public as a well-known trademark. While China practices a “first-to-file” rule in trademark protection which means the first to register a trademark will generally take priority over subsequent applicants, the well-known trademark protection is an exception to that. Under article 13 of the PRC Trademark Law, exclusive rights are conferred on the owners of well-known a trademark. A trademark that “constitutes a reproduction, an imitation, or a translation, liable to create confusion, of another’s well-known trademark not registered in China and that is the subject of an application for registration for identical or similar goods” or that “constitutes a reproduction, an imitation or a translation of another’s well-known trademark registered in China and that is the subject of an application for registration for dissimilar goods or services, if the use of such trademark would confuse the public and possibly prejudice the interests of the registrant of the well-known trademark” shall be refused registration, and its use shall also be prohibited. So, under the PRC Trademark Law, both registered and unregistered marks are protected against the use and/or registration of third party rights which are reproductions, imitations or translations of the well-known trademarks, and these third party marks cover non-identical or dissimilar goods and services so long as such marks would cause confusion to the public and prejudice the interests of the owner of the well-known mark. In the PRC intellectual regime, owners of well-known trademarks are entitled to oppose registration of an infringing mark, cancel the registration of a registered mark and oppose the use of the same. What constitutes a well-known trademark in China? Determination as a well-known trademark status in China has always been difficult, especially for foreign brands as they are likely to experience difficulties in obtaining recognition from the relevant public when compared to domestic Chinese brands with more local presence and connection. Any other materials showing that the mark has been protected as a well-known trademark in China or other country. In a recent case (Beijing IP Court (2017)京73民初121号), the plaintiff, John Deere (China) Investment Co., Ltd. (“John Deere”), owns trademarks including one with a leaping deer and have used such trademarks on multiple products such as agricultural machineries. Without any permission or consent from John Deere the defendants used trademarks and company names such as “Jialian Deere” and logos with a leaping deer on products including industrial lubricating oils. These defendants also successfully registered names including “Jialian Deere” in which first word “Jialian” is aurally and visually similar to the word “John” as their companies’ name. Since the Plaintiff found the acts of the defendants exploiting its interest, they commenced proceedings against the defendants. The Court applied Article 13 of the Trademark Law and Article 11 of the Interpretation on Well-known Trademark in balancing the rights between the defendant’s registered trademarks and the plaintiff’s well-known trademarks. The court decided that the agricultural machineries for which the plaintiff’s trademarks were registered, and the industrial lubricating oil for which the defendant’s trademarks were registered were similar goods. Despite this, the court recognized the plaintiff’s registered trademarks as well-known trademarks and held that the use of the registered trademark “Jialian Deere” by the defendant constituted infringement by applying the Article 13. The defendants were ordered to cease infringement and to make a public statement to minimize detrimental effects. While the criteria to be recognised as a well-known trademark may be stringent and difficult to meet, obtaining such status is extremely useful for a business not only because it recognises the business’s reputation and marketing effort, it is an effective measure to prevent unscrupulous traders from registering that mark in totally unrelated goods and services. Also, trademark infringers have become more sophisticated and they do not merely copy famous brands directly but may imitate the famous trademarks with additional features. When come to these situations, well-known trade mark protection is of relevance as well-known trademark owners can enforce their rights against such infringing use even the infringing marks are earlier registered trademarks. It is therefore important for businesses to keep evidence of the reputation and recognition of its brands and/or marks as the burden to show that the mark is a famous one is on the mark owner. If you are in need of legal advice, you can get a Quick consult with experienced lawyers in Hong Kong. With Quick Consult, for a transparent, flat fee, the lawyers will call you back on the phone within 1-2 days to answer your questions and give you legal advice. This article is written by ONC Lawyers and edited by Elizabeth Tan of Asia Law Network. This article was first published on ONC’s website. What type of documents does the Competition Commission need to disclose to a respondent in an enforcement action and Competition Tribunal proceedings? 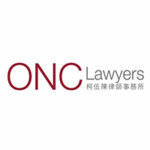 ONC Lawyers is a professional and dynamic legal practice based in Hong Kong. We have been growing continuously since our establishment in 1992, and have now become one of the largest local law firms with more than 100 members of legally-qualified and supporting staff. The major areas of practice of our lawyers include banking & finance, capital market, China practice, construction & arbitration, corporate & commercial, criminal litigation, employment, family & matrimonial, immigration, insolvency & restructuring, insurance & personal injury, intellectual property & technology, litigation & dispute resolution, notary public services, real estate, securities, futures & funds, shipping & logistics and wills & probate. ONC Lawyers was formerly known as Or, Ng & Chan (prior to 1st May 2008), whilst our Chinese name 柯伍陳律師事務所 has remained unchanged.